You might need to see a doctor urgently on occasion. Maybe you think you have strep throat, or perhaps you injured yourself in your weekend soccer match. 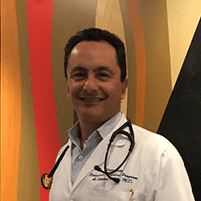 If you need urgent care services, you can count on board-certified internist Shawn Veiseh, MD, for expert medical care and personalized attention at his private practice, University Executive Physical Program, in the Westwood neighborhood of Los Angeles. Make an appointment by calling Dr. Veiseh or using the online scheduling tool. What conditions are treated with urgent care? Urgent care is available outside of regular business hours. Dr. Veiseh does his best to see you on a same-day basis when you need prompt medical attention. You can book same or next-day appointments online, and he encourages you to call his office and talk to his staff to secure the next available appointment. When you see Dr. Veiseh for urgent care services, you receive prompt medical attention for your concerns. Dr. Veiseh can see you quickly and has a comprehensive array of diagnostic equipment in his office. This allows him to run the tests necessary to provide a full evaluation of your condition. As a board-certified internist with decades of experience, Dr. Veiseh has the training and expertise to treat nearly all injuries and illnesses that can get in the way of your busy life. When you choose urgent care services with Dr. Veiseh, you are the priority. If you go to an emergency room with a non-life threatening condition, you might spend hours waiting to be seen as patients with truly life-threatening conditions are given needed priority. What’s the difference between urgent care and the emergency room? Emergency rooms are set up to provide care for patients with emergent, life-threatening conditions, such as heart attack, stroke, or severe injuries. As a result, emergency rooms often have long waits as patients are seen based on the severity of their condition, not on a first-come-first-served basis. Emergency rooms are often overburdened and understaffed. While you may be frightened about your injury, unless it’s genuinely a threat to your life, you should choose urgent care with Dr. Veiseh. He can see you more quickly, provide expert treatment, and his fees are significantly less than what you will pay for emergency room services, even with insurance. If you have an illness or injury that needs urgent medical attention, call Dr. Veiseh’s practice or use the online scheduling tool to book the next available appointment.